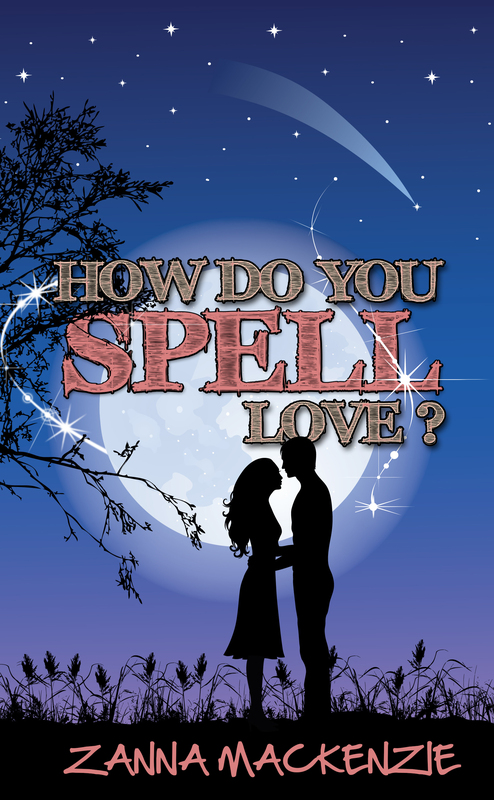 Guest Blogger – Zanna Mackenzie, author of How Do You Spell Love? I’m very excited to invite the lovely Zanna Mackenzie, author of the newly published chick lit novel, How Do You Spell Love?, to my blog. Take it away Zanna! I’m a bit of a modern eco warrier I suppose. I manage the local Save The World charity shop in the town where I live in Yorkshire, I grow all my own fruit and veg on my allotment in town and I’m a practising white witch. Wow! A witch eh? I don’t think I’ve ever met a white witch before, what does that mean exactly? It means I cast ‘spells’ but only good ones, not ill intentioned or evil ones. I do spells to help others, asking for things like protection or fertility or, the most popular, for love. I inherited this ‘gift’ from my gran and I abide by the old code of never accepting money for any spells I do and never wishing anyone any harm. Another code is not to cast spells asking for something for yourself. I usually abide by this one but, as you’ll see if you read the book, I end up bending the rules a bit on this point. So what do these spells involve? Usually the chanting of a rhyme and the use of things like herbs, essential oils, plants and crystals. I perform most of my spells in a shed on my allotment / vegetable plot. So you mentioned bending the rules to perform a spell asking for help for yourself, can we ask what that was about? I don’t know if I should say too much but, well, it involves Rob, my boyfriend, we’re having problems at the moment and I thought a lunar love spell might get our relationship back on track. Unfortunately, it just seemed to make things even more complicated! In the book blurb for HDYSL it mentions that you meet a guy called Tom, can you tell us more? My friend and co-worker Kat invites me to a party her family are having and that’s where I meet Tom. He’s her cousin and we get talking about this and that. He mentions he grew up on his gran’s allotment/veg plot and how much fun it was, when I mention about having an allotment myself. Then, a few days after the party, he turns up at my veg plot and asks if he can help out from time to time but we both know he’s asking for much more than that! Anyway, I agree, ok, I admit, I do like him, but for a whole variety of reasons we really can’t be together so I’m soon left wondering why on earth I agreed to him being around and what on earth is going on between us. FACTS ABOUT HOW DO YOU SPELL LOVE? Thanks for inviting me to your blog today Meredith – much appreciated! My pleasure! Looking forward to reading How Do You Spell Love! Great interview, ladies! 🙂 Love the excerpt! HDYSL is definitely on my TBR list! Oh, this looks like my kind of book. Great interview, thanks Zanna and Meredith. Don;t tell your heroine about the Witches of Pendle, will you? Thanks Lizzy! I read your book Tall, Dark & Kilted last month and loved it! Sounds like a fun read. Great interview, ladies!